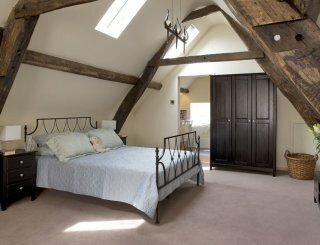 Lane Farm Holiday Cottages, Holmfirth, West Yorkshire, sleeps 5-11 in 6 bedrooms. 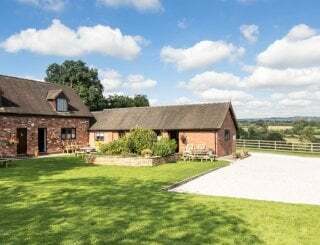 Welcome to Lane Farm Holiday Cottages, two luxury four-star Gold Award winning cottages set on a working sheep and beef farm, situated at the northern tip of the Peak District National Park, in the picturesque village of Holme, on the outskirts of Holmfirth. Nestling on the south facing slope of the beautifully picturesque Holme Valley, just below Holme Moss are Trough Cottage and Mount View. With superb views, these two fully centrally heated cottages provide luxurious ensuite accommodation and relaxation. 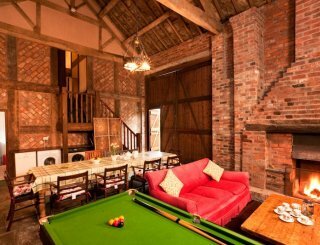 The cottages can be internally accessed for larger parties of up to eleven people. 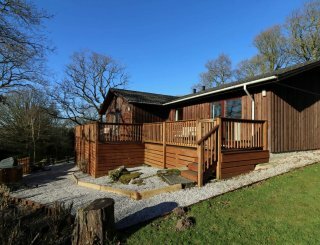 Trough Cottage sleeps five (plus sofa bed for two) and Mount View sleeps six people. Ideal for family reunions, special celebrations and business courses. The Upper Holme Valley provides some of the finest walking country imaginable, with the Pennine Way running through the moor. For the avid cyclist, the cottages sit at the foot of Holme Moss, the iconic climb made famous by the 2014 Tour de France. Holmfirth with its many pubs and restaurants to tempt even the most discerning palate, is just three miles away. The popular BBC TV programme 'Last of the Summer Wine' was filmed here and there are many other things to see and do. Huddersfield is just 10 miles away, the M1 and M62 motorways are within easy reach providing access to Manchester, Sheffield, Leeds, Bradford and Wakefield. Both Manchester and Leeds Bradford Airports are about an hour away. Mount View sleeps six people, providing two double rooms (one ensuite), a twin room and a family bathroom. Ground floor accommodation comprises of a large kitchen-diner, separate lounge and WC with stunning views across the Holme Valley. 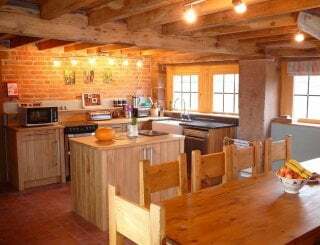 Trough Cottage sleeps five (plus two) people, providing a double ensuite room, a twin room, a single room and a family bathroom. Sharing the same stunning views, the ground floor accommodation comprises a large open plan kitchen-dining-living space, with double sofa bed and WC. 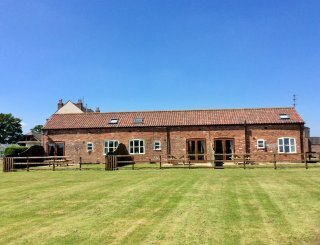 Whether you choose to spend your holiday exploring the countryside or sampling the culinary delights at the many local eateries, this is the place to do everything or nothing a complete Home from Holme. Two fully equipped kitchens, each with oven, hob, microwave, washer/dryer, fridge, freezer and docking station radios. WiFi is available throughout. Ample facilities for parties to dine together in comfort, both inside and outside. Cosy and comfortable with fantastic views, the lounge areas provide Freeview TVs with integrated DVD. Freeview TVs with built in DVD players are situated in the lounge areas together with docking station radios, incorporating clock radio. Free WiFi is available throughout both cottages, though there is no land line. Board games, playing cards, jigsaws and books are available in the lounge areas, providing entertainment for all ages. LPG central heating is provided throughout and electric stoves are situated in the lounge areas. Tastefully decorated; 2 master ensuites, 1 double, 2 twins and 1 single. Spacious, with comfortable beds. Sofa-bed (+2) in lounge. Cot on request. Luxurious cotton bed linen and soft towels. Warm duvets with luxurious throws and cushions provide a very relaxing ambiance. All are tiled. There are showers in the two ensuites and baths with showers over in both family bathrooms. There are also two ground floor WCs. Direct level access can be gained on ground level where there are two WCs. All bedrooms and bathrooms are at first floor level. Children are able to play safely in the gated area in front of the cottages and in the field beyond. Board games and books provided in the cottages. Tables an chairs are situated on the private stone patio outside the cottages, with benches in the courtyard/garden area. Walking/cycle routes nearby. A hot tub can be arranged on request, subject to extra cost, where both cottages booked. Holmfirth has a public swimming pool, approx 3 miles away. There is private parking for up to 8 vehicles in the gated cobbled courtyard and an electric car charging point available. The cottages are strictly non-smoking throughout. As a working sheep farm it can be difficult to accept pets; however, we may be able to make exceptions with prior arrangement & subject to extra cost. Situated on the A6024 between Holmfirth and Woodhead in the hamlet of Lane in the Village of Holme. Holmfirth is a vibrant tourism and TV location situated 3.5 miles away, providing gift and grocery shopping and an array of good eateries and pubs. The Fleece Inn pub is a five minute walk away and has a pantry shop providing deli produce and daily essentials. Newspapers available 2 miles away. The Fleece Inn is a 5 min walk away serving high quality traditional and contemporary cuisine and a selection of cask conditioned beers, ales & wine. Prices range from £1300 (low season) to £1500 (high season) per week. Short breaks are available, excluding Christmas & New Year period. Check in from 1500hrs, Checkout at 1000hrs, unless by prior arrangement. Late checkout may be available at additional charge. Brockholes is the nearest rural Railway Station (5 miles) whilst Huddersfield is the main Station (10 miles) accessible to and from all major cities. The bus stop is a 5 minute walk away and buses leave for Holmfirth and Huddersfield each hour connecting to Huddersfield Railway Station. Manchester International and Leeds Bradford are both equidistant to the cottages, approximately 25 miles.